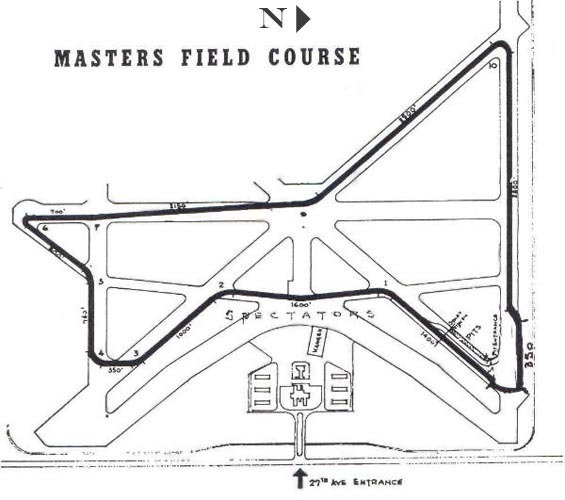 This motorsports course was used for races in 1958 and 1959. A planned race in 1962 was canceled due to the use of the base for staging military supplies and equipment during the Cuban Missile Crisis. It was located on NW 27th Avenue east of Amelia Earhart Field on the other side of the railroad tracks. This site was later occupied by Dade County Junior College, renamed to Miami-Dade Junior College, renamed to Miami-Dade Community College and now named Miami-Dade College.